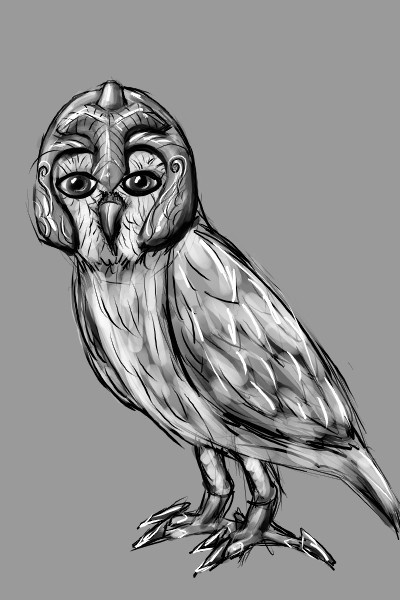 Tonight an owl, with a helmet and gauntlets. Can you guess what movie I saw right before drawing this? 19 minutes without a reference.